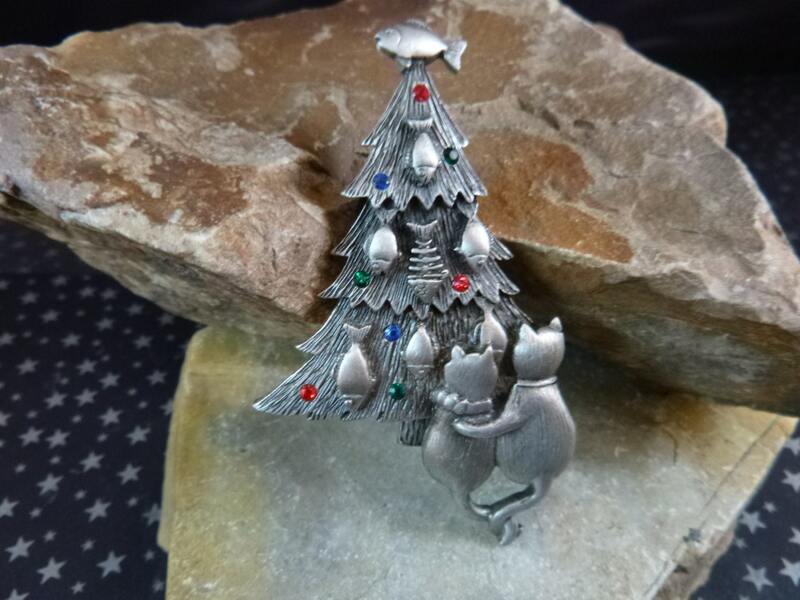 This cat lover Christmas Tree pin is mentioned on page 52 of Mary Morrison’s 3rd edition of the book, Christmas Jewelry. It’s signed with the maker’s mark “© JJ” in a cabochon on the back which is a copyright designation of the Jonette Jewelry company. It’s fun and whimsical and makes me smile. 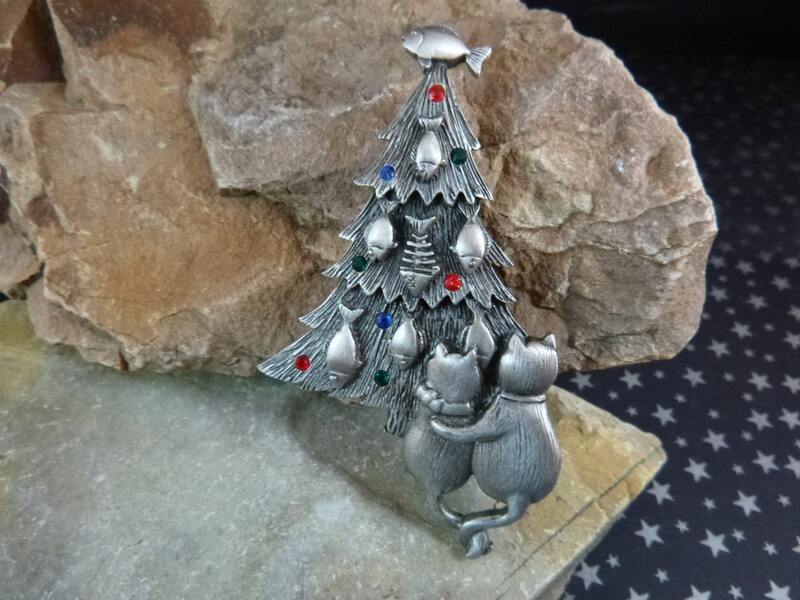 Two cats admiring their fish decorations complete with fish topper, fish ornaments, and red, green and blue tiny rhinestones are nestled between the branches. 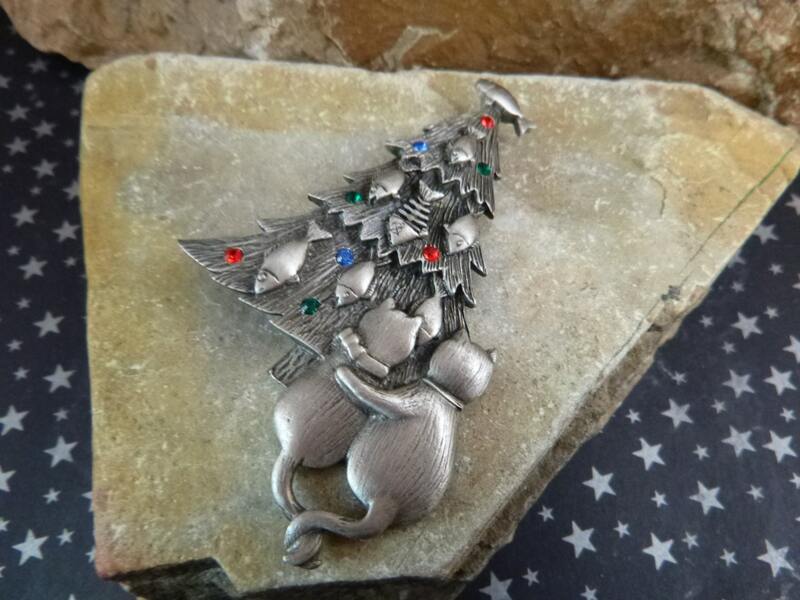 This vintage Christmas tree pin is substantial in feel and size, measuring 3.25” in height and 2” in width. 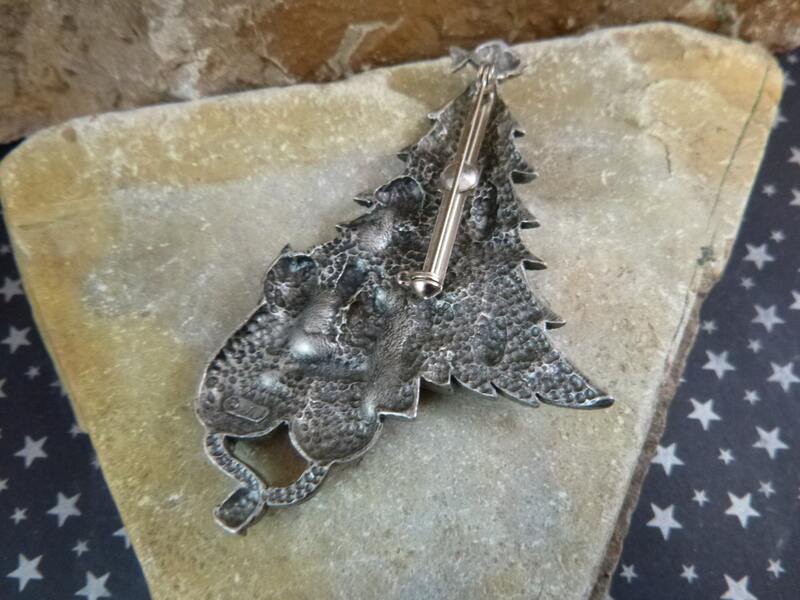 It’s made of textured pewter. It is in very good vintage condition. The pin and clasp hold well. 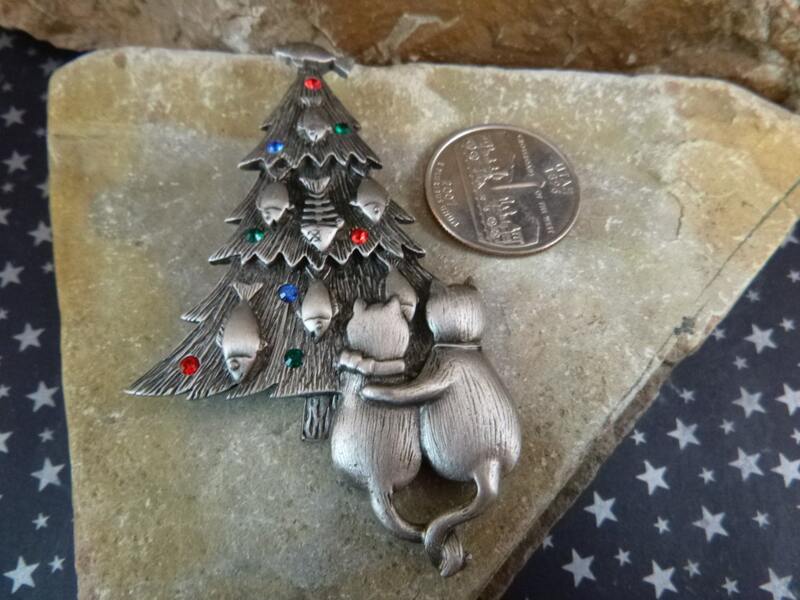 The pictures offer additional perspective on this whimsical and unique vintage Christmas tree pin any cat lover or Christmas enthusiast would enjoy.